We’ve already mentioned that Commerce Extensions will release the Import/Export bundle that offers a combined functionality of core company’s modules. And the first core module is Custom Bulk Product Import Export. This tool offers advanced export/import functionality for products. 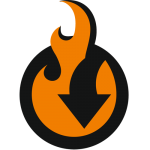 The extension not only supports configurable and bundle products but offers import/export for tier pricing and custom options. If you are looking for a tool designed to make product import/export fast and problem-free, pay attention to Commerce Extensions. There are lots of other reliable solutions, but below we explore the company’s Custom Bulk Product Import Export. After installing the extension, you will effortlessly import or export all product-related data to/from your Magento 2 website (or Magento 1 if you still use this platform version). As mentioned above neither bundle and configurable products nor tier pricing and custom options are a problem. The extension supports all product types and can cope with all product and product-related data. Besides, you can use the Commerce Extensions Custom Bulk Product Import Export Magento 2 module to update price, quantity, or other data that should be updated. Furthermore, you can even use the extension in the migration from Magento 1 to Magento 2. 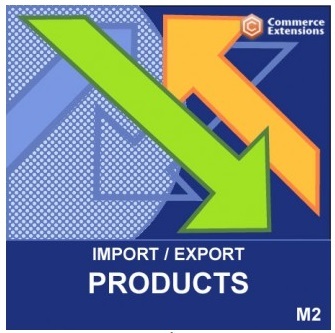 Simply install the M1 version of Custom Bulk Product Import Export on your Magento 1 website, and use the M2 version for your new ecommerce storefront. Then, export data from Magento 1. Next, the newly created CSV file should be imported to the Magento 2 store. Another important aspect that should be mentioned in our small review is the ability to move photos from one store to another. So don’t be afraid that you will have to do this job manually. 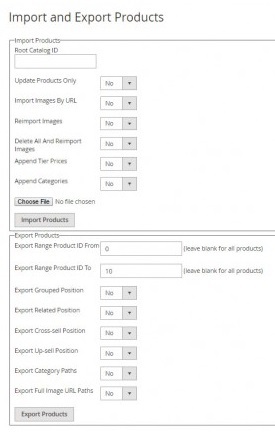 Let’s take a look at the feature list to view all areas covered by the Commerce Extensions Custom Bulk Product Import Export Magento 2 extension. There are several rules related to the usage of the Custom Bulk Product Import Export extension. First of all it is prohibited to edit CSV files in Excel, but it doesn’t mean that the import/export content cannot be edited at all. The appropriate documentation recommends to use Openoffice.org for applying improvements to the CSV files produced by the module. It is also important to save them in the UTF-8 format. As for the core functionality of the Commerce Extensions Custom Bulk Product Import Export, it is available under System -> Import/Export Products. Here you can create CSVs and move them back and forward. As for the aforementioned feature related to product positions, it can be also fully controlled via the backend section. In the export profile dropdown, find this setting and activate it (set to “Yes”). It is also necessary to tell a few words about image import/export. Set “import_images_by_url” to “Yes” and add www.example.com/image.jpg into the following columns: image, small_image, thumbnail, and gallery. Alternatively you can set the parameter to false and supply “/image.jpg” into the same columns. images as-is. You should set the appropriate value in the export profile dropdown to “Yes”. If setting “reimport_images” to “Yes” during the import procedure, all existing images are deleted. Instead the extension adds images that are available in the CSV. If “reimport_images” is set to “No” all existing images are kept. New images are appended to them. In this situation, some duplicates can be added, so you should check everything and delete unnecessary image copies manually. To add tier pricing, set the appropriate option to “Yes”. Otherwise, all tier prices will be replaced with new ones from the CSV. The same is about categories. 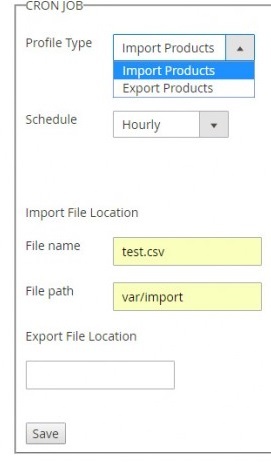 It is also necessary to mention that Custom Bulk Product Import Export for Magento 2 lets you set up automated import/export via cron job. The Commerce Extensions Custom Bulk Product Import Export Magento 2 module provides user-friendly and at the same time powerful interface for moving product data between websites and platforms. All aspects of this complex process have their representation in the form of the extension’s features. And everything is available just for 100 bucks.